Introducing vPad-RF, the smallest full featured analyzer for testing Electrosurgical Units (ESUs). 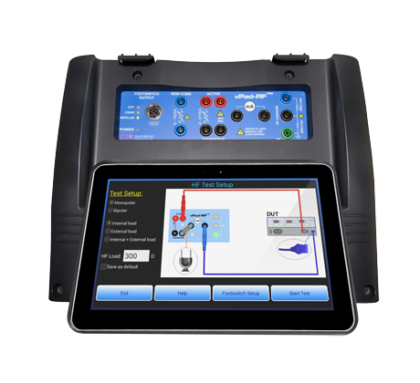 Built on Datrend’s revolutionary Vision Pad platform, each unit comes with a built-in HF Digital Oscilloscope and Spectrum Analyzer. 47 to 63 Hz, 0.6 A max. 47 to 63 Hz, 0.4 A max. Size 8.5 x 11.0 x 13 in.